The paper maps the geographic sources of China’s toxic air and concludes that much of the smog that routinely shrouds Beijing comes from emissions in a distant industrial zone, a finding that may complicate the government’s efforts to clean up the capital city’s air in time for the 2022 Winter Olympics. The authors are members of Berkeley Earth, a research organization based in Berkeley, Calif., that uses statistical techniques to analyze environmental issues. The paper has been accepted for publication in the peer-reviewed scientific journal PLOS One, according to the organization. According to the data presented in the paper, about three-eighths of the Chinese population breathe air that would be rated “unhealthy” by United States standards. The most dangerous of the pollutants studied were fine airborne particles less than 2.5 microns in diameter, which can find their way deep into human lungs, be absorbed into the bloodstream and cause a host of health problems, including asthma, strokes, lung cancer and heart attacks. The organization is well known for a study that reviewed the concerns of people who reject established climate science and found that the rise in global average temperatures has been caused “almost entirely” by human activity. 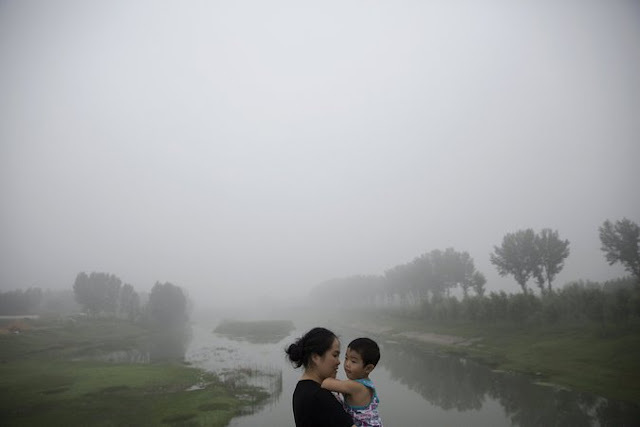 The researchers used similar statistical methods to assess Chinese air pollution. They analyzed four months’ worth of hourly readings taken at 1,500 ground stations in mainland China, Taiwan and other places in the region, including South Korea. The group said it was publishing the raw data so other researchers could use it to perform their own studies. Berkeley Earth’s analysis is consistent with earlier indications that China has not been able to successfully tackle its air pollution problems. Greenpeace East Asia found in April that, of 360 cities in China, more than 90 percent failed to meet national air quality standards in the first three months of 2015. The Berkeley Earth paper’s findings present data saying that air pollution contributes to 17 percent of all deaths in the nation each year. The group says its mortality estimates are based on a World Health Organization framework for projecting death rates from five diseases known to be associated with exposure to various levels of fine-particulate pollution. The authors calculate that the annual toll is 95 percent likely to fall between 700,000 and 2.2 million deaths, and their estimate of 1.6 million a year is the midpoint of that range. The Chinese government is sensitive about public data showing that air pollution is killing its citizens, or even allusions to such a conclusion. Though the authorities have gradually permitted greater public access to air quality readings, censors routinely purge Chinese websites and social media channels of information that the ruling Communist Party worries might provoke popular unrest. In March, after a lengthy documentary video about the health effects of air pollution circulated widely online, the party’s central propaganda department ordered Chinese websites to delete it. Much of China’s air pollution comes from the large-scale burning of coal. Using pollution measurements and wind patterns, the researchers concluded that much of the smog afflicting Beijing came not from sources in the city, but rather from coal-burning factories 200 miles southwest in Shijiazhuang, the capital of Hebei Province and a major industrial hub. Promises to clean up Beijing’s air were a centerpiece of the nation’s bid to host the 2022 Winter Olympics. The mayor of Beijing, Wang Anshun, championed restrictions on vehicles in the city, and state news media outlets lauded projects to replace coal-fired heating systems in urban areas with systems that use natural gas and generate far less particulate pollution. “We will improve the air quality not only for the Games, but also for the demand of our people,” said Shen Xue, an Olympic gold medalist and ambassador for the 2022 bid, according to a report last month by Xinhua, the state news agency.